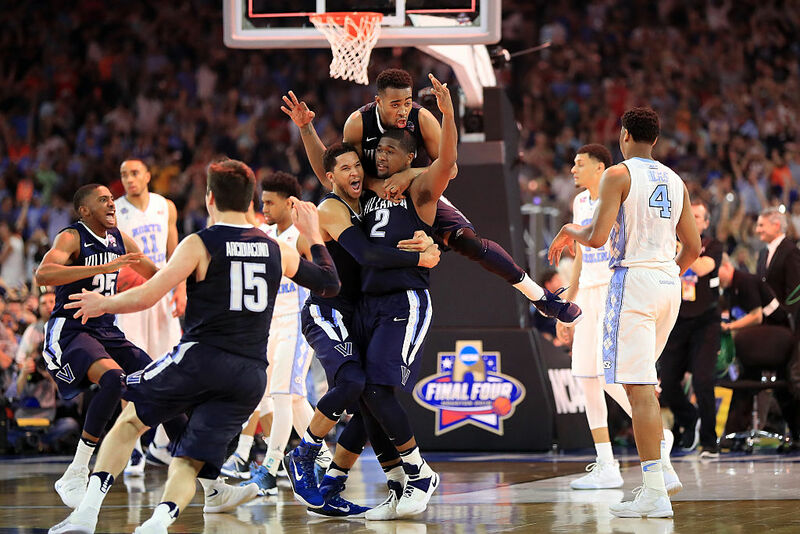 There may have never been an ending to a championship game as exciting as what we just witnessed between Villanova and North Carolina in the 2016 finale to the NCAA Tournament. The Tar Heels stormed back from 10 down with just 5 minutes to go to tie the game with just a few ticks left on a BONKERS double clutch three by Marcus Paige. Villanova inbounded with 4.7 seconds on the clock and Ryan Arcidiacono dribbled up the floor, handing it off to Kris Jenkins at the last moment for a shot at immortality. Jenkins’ deep three pointer will be forever etched in tournament lore as Villanova won an absolute classic by a final score of 77-74. What was unique about this moment was that thanks to the Turner Sports Team Stream telecasts, we got to hear the call in three different ways – from the national perspective and from the perspective of both teams and their fanbases. First: Jim Nantz, Bill Raftery and Grant Hill on TBS. How about a little national championship onions!!! Second: On the North Carolina Team Stream, Wes Durham and Brendan Haywood were absolutely gutted to see the Tar Heels lose at the horn. What a shot. What a moment. What a tournament.